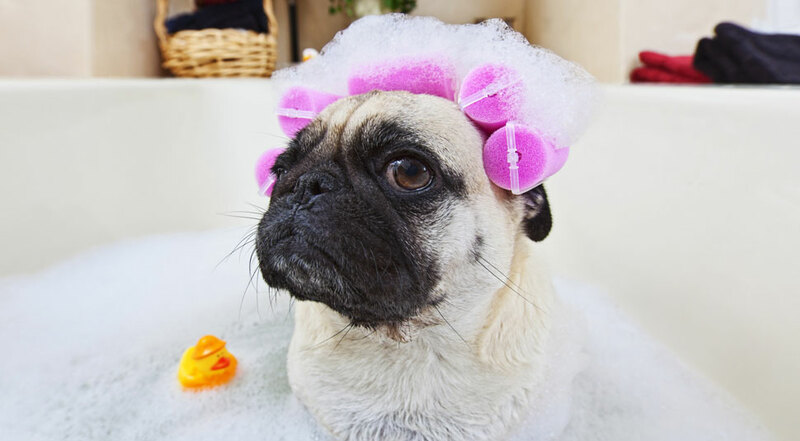 A unique highlight in Loving Pets is the menu of spa services we have for pets. We were featured in the Clubpets magazine, December to February issue in 2007. We are one of the leading pet spas treatment facility established in Singapore. Check out our range of unique spa services and personalized grooming packages for your fur kids. Dead Sea Mud is obtained from the banks of the Dead Sea which has been renowned and revered for its power to heal, rejuvenate and beautify. Dead Sea Mud contains an extremely high concentration of natural minerals, adding to the mud, is our special in house blend of pure essential oils to assist in purifying and cleansing, detoxification, replenishing skin’s natural moisture balance, restoring a healthy skin and coat and especially beneficial to dogs having skin problems. *There will be a $10 off for any Spa services done together with either Basic Grooming or Full Grooming. We use a device to generate water into tiny bubbles smaller than our fur kids’ pores so as to penetrate deep into the skin to cleanse out dirt and grease from the clogged pores. The bubbles that are generated, contains ultrasonic waves to kill bacteria, it also contains negative ions to speed up healing of skin and also releases oxygen into the skin and replenish the skin’s lost moisture balance into healthy skin and coat. There are different microbubbles devices in the market. Some microbubbles devices are not able to produce bubbles smaller than our fur kids’ pores, therefore not able to successfully penetrate the skin and coat and some devices are not able to produce instant heat and substantial quantity of bubbles to help with either beautifying or healing of skin. What Loving Pets can assure you is that our Power Bubbles Bath is laboratory tested that the bubbles are able to penetrate into pores, produce a large quantity of microbubbles to show results, such as whiter coats, softer fur, cleaner skin. Skin-Healing Treatment is mainly used for the remedy of dry and inflamed skin. Herbal mask will be applied all over the bodies of our fur kids’, allowing the nutrients to penetrate into their coat and skin. Skin-Healing treatment will improve the recovery of their skin. Disclaimer: Results may vary, depending on individual dogs’ genes, condition of skin, external factors, etc. Consult one of our spa technicians for further information.